My kids love going on “dates” with mom… and as a mom to a vanful I often can’t get out of the house to a destination with one kiddo – BUT I can carve out a special moment with one child, just him and me. 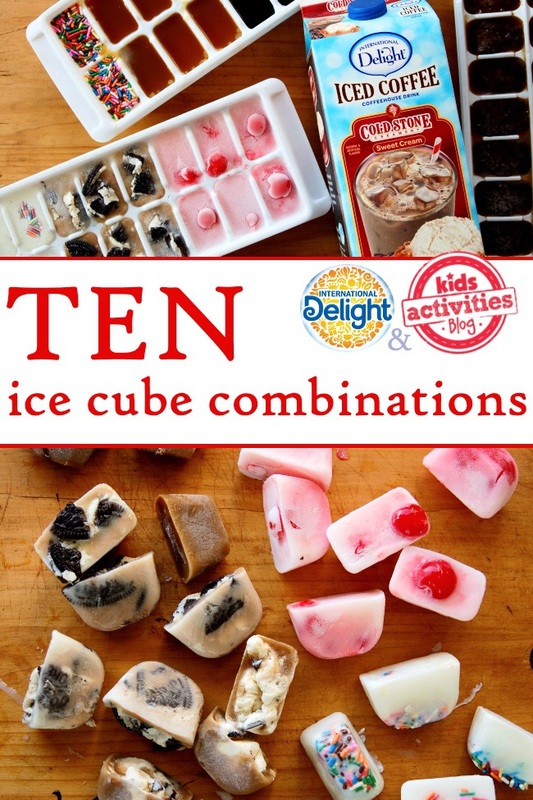 We made a bunch of ice cubes – every combination we could think of – and when the younger kids are taking naps it is a great time to pour a drink, pop in some fancy cubes and enjoy a moment with my son. Just him and me. Raspberries and fudge – mix the fudge with a little milk first so you can pop it out more easily when frozen. Cherries in Almond flavored Milk – add a drop of almond extract to your milk choice. Sweetened condensed milk, caramel with cinnamon sprinkled on top. Crushed oreos in milk – our favorite!! 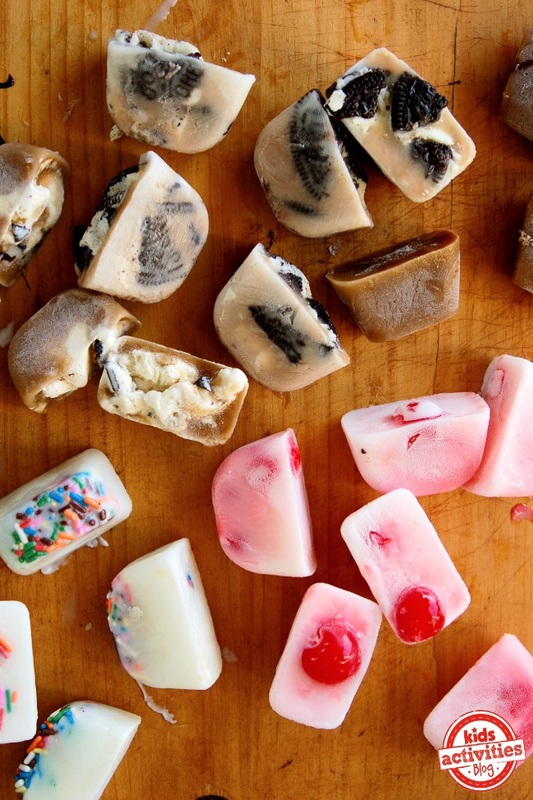 Ice cream cubes. Stuff it as full as you can with ice cream and top off with milk. Sprinkles, LOTS of sprinkles – in milk. Peanut Butter Cups. Mix warmed peanut butter with a small amount of milk and chocolate syrup (otherwise it won’t pop out of the tray when frozen). Crushed Toffee Candy in milk. International Delight Coffee – all by itself. Perfect. If you are a dairy-free family, consider using coconut milk as an alternative. Tasty and good for you! Fill your glass with your ice cubes. 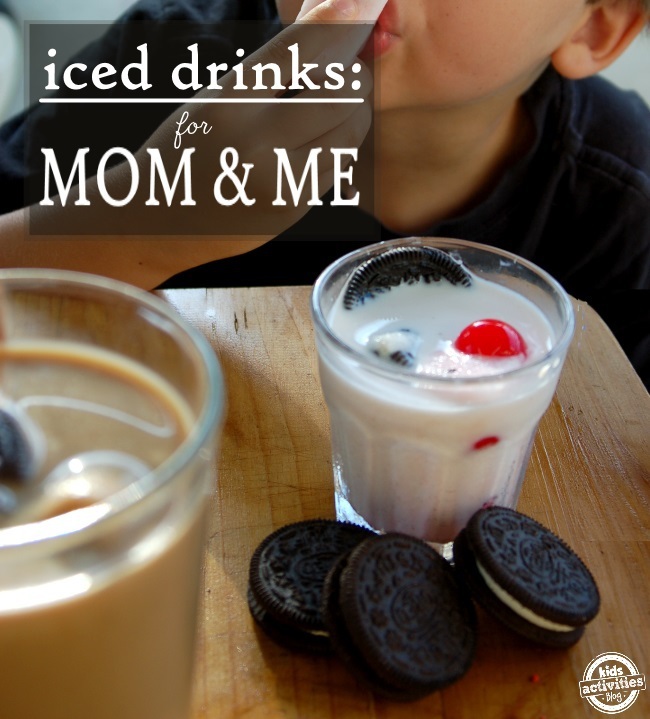 For mom, top off the glass with International Delight Iced Coffee… for your kids, give them a glass of milk or even soda water. It is such a fun tasty treat. If your kids are like mine, they will pull the cubes out of their drink to eat them solo.